Our family looks forward to game day every week! As soon as the whistle blows, we come together in the living room, cheering for the kickoff, watching the exciting plays and anticipating the halftime snacks! 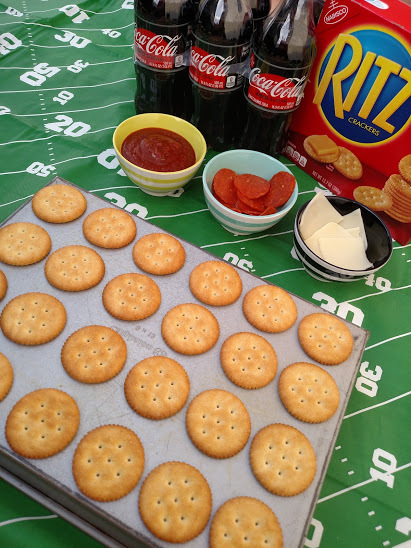 For this week’s game, I am planning to serve RITZ Crackers pizzas. 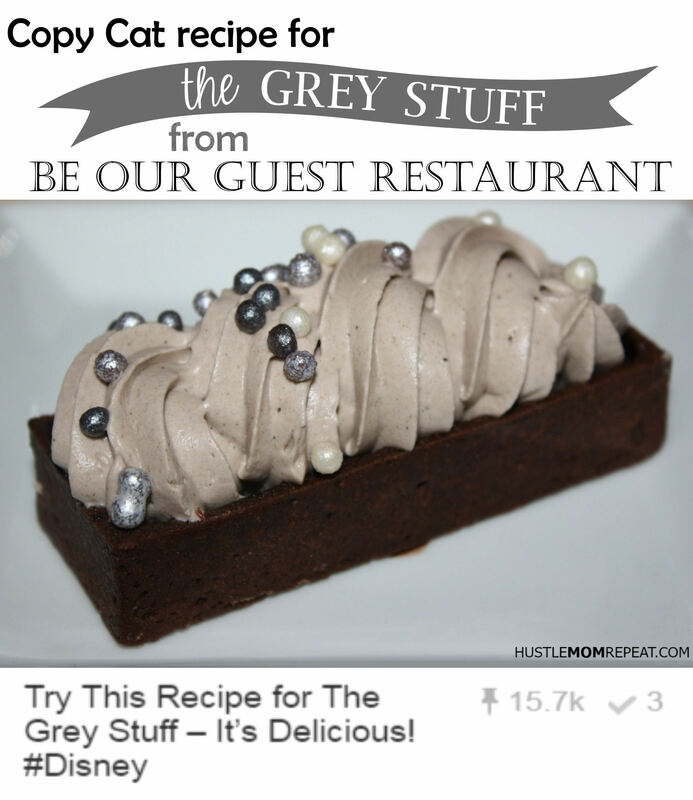 They are easy to make, perfect to grab-and-go and something everyone in our family loves! I headed to Walmart for supplies. I picked up a box of buttery RITZ Crackers, a package of pepperoni, our favorite cheese, pizza sauce and of course, some Coca-Coca Zero Sugar 6-packs, which has become my favorite zero-calorie cola with it’s real Coke taste! 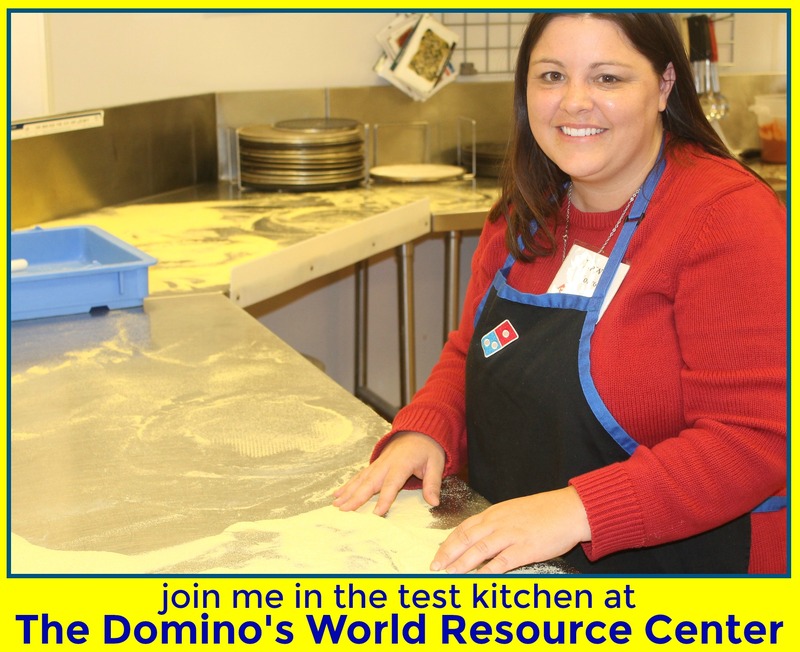 I then place the RITZ Crackers on the baking sheet, then top each cracker with pizza sauce. 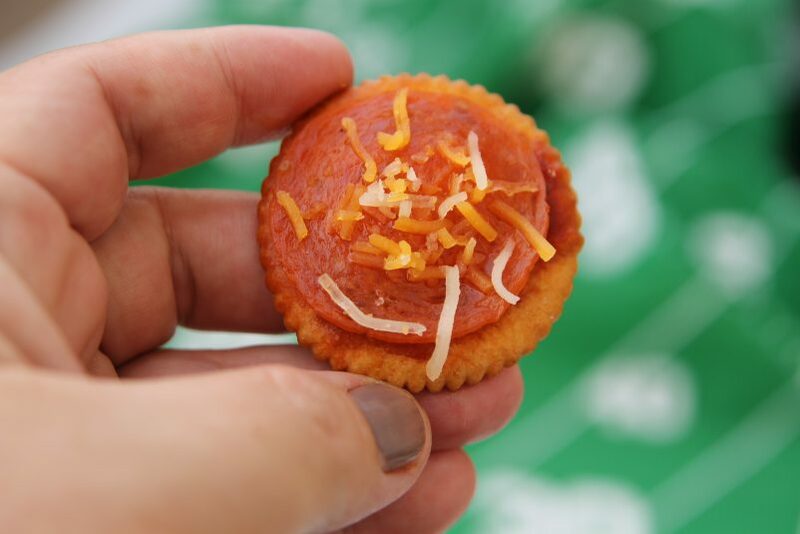 I then add a small slice of mozzarella cheese on top of the sauce, then top with a pepperoni. 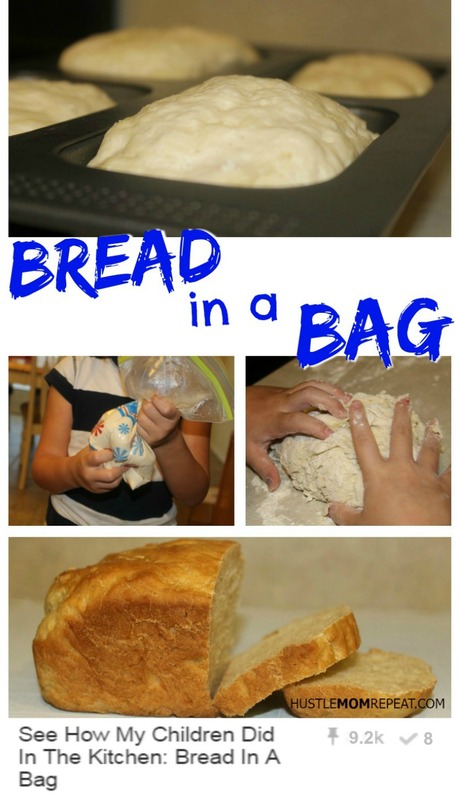 When the oven is ready, place the baking sheet in the oven and watch carefully for about 6 minutes – just until the cheese melts, then top with a sprinkle of shredded cheese, which will melt slowly and perfectly! 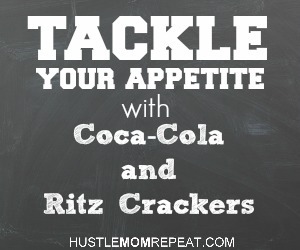 This quick snack is perfect for your football game day gathering – you can’t go wrong with Ritz Crackers and Coca-Cola! 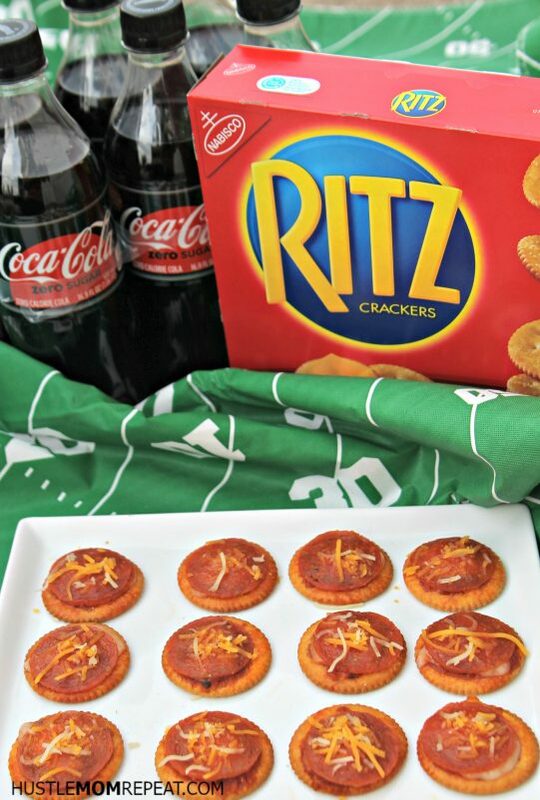 If you have a fun game day recipe idea, make sure you visit She Speaks to enter the recipe contest, where you can win a $40 Walmart Gift Card, two 6-packs of Coca-Cola and two boxes of Original Ritz Crackers.